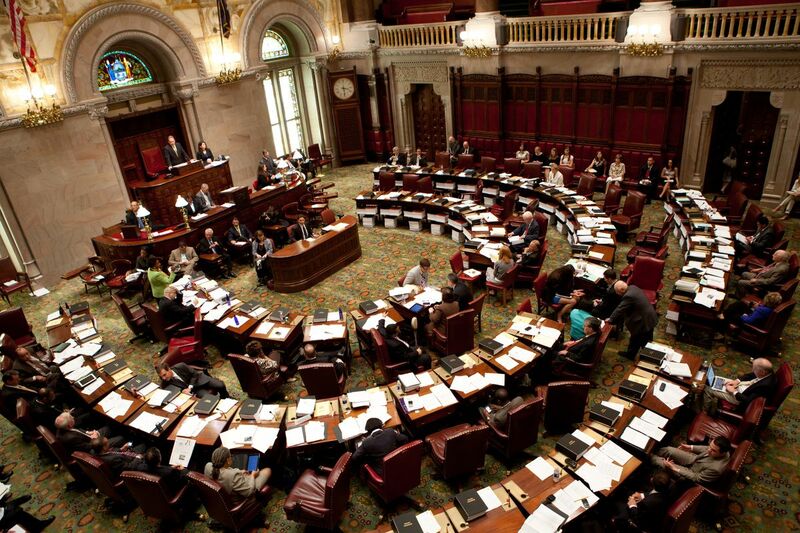 While Speaker Carl Heastie has New York City’s interests covered in the Assembly, concerns arise in the Senate. The following senators voted AYE to support State Bill 6760 (FULL TEXT HERE) which would raise the FAR cap leading to taller buildings in NYC. As these senators do not represent New York City, this bill is a an unfortunate negotiating tactic that seeks to punish those who live and work in the densest metropolis in the country. It may not reach the full floor, but has until the end of the session–on June 20th to rear its head again. Contact them to tell them you disagree with their position on this bill, and hope they reconsider before it comes to the full Senate floor. Explain that increasing the Floor Area Ratio (FAR) would yield larger buildings further stressing the community–more garbage to collect, more vehicles to park, more students to educate, more riders to squeeze into subway cars. Maintaining the limitations as currently exist would better ensure services keep pace with demand. The larger, often aesthetically-challenged structures that would result from a passed State Bill 6760 would block out limited light and views and harm our established neighborhoods. We need to ensure a responsible balance.